TVNZ journalist, Ryan Boswell, wrote to the Corrections Department recently asking how many prisoners and how many officers were tested for drug use in the last two years – and how many returned positive tests. Corrections released information to TVOne which appears to show that more prison officers are now smoking dope than prisoners. In 2014, Corrections conducted 10,971 tests on prisoners, of which 708 were positive for drugs. In other words, 6.4% of all prisoners tested were positive, mostly for cannabis. In the same period, Corrections tested only 26 prison officers, of which two returned positive results. In other words, 7.7% of prison officers tested positive. 600 prison staff smoking dope? Let’s put this into context. There are approximately 8,500 prisoners. 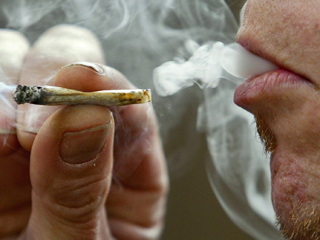 If 6.4% out of the 8,500 are smoking dope, that’s 544 prisoners. 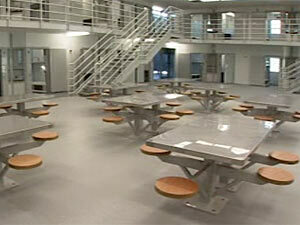 Corrections has a similar number of employees, about 8,000, although they don’t all work in prisons. 7.7% of 8000 is 616. So it looks like there’s slightly more Corrections staff smoking dope than prisoners. When TVOne ran their story, Corrections crackdown on drugs paying dividends, they didn’t mention this. They focussed on the fact that the number of prisoners returning positive drug tests has dropped dramatically. In 1998 when random testing was introduced, 30% of prisoners were caught using. Now it’s only 6%. That’s definitely progress – of sorts. Now prisoners are using at the same rate as prison officers. Here’s a bit more context. The 26 officers drug tested in the last 12 months were at 13 different prisons. In other words, Corrections selected only two officers at each of those 13 prisons to submit to a random test. That’s too small a sample to provide meaningful results. If 500 tests were conducted on prison officers every year, that would provide more certainty about the percentage of staff smoking dope. It may well confirm that about 600 officers are druggies. Chief custodial officer, Neil Beales, told TVOne that Corrections has zero tolerance for its staff using drugs – the two who returned positive drug tests either resigned or were dismissed. If the reality is that 600 officers are smoking dope, it would be more accurate to say that Corrections has almost zero tolerance for testing its own staff. Instead of getting rid of staff by drug testing them, the Government has announced that hundreds of prison staff will lose their jobs when older units in Waikeria, Tongariro-Rangipo and Rimutaka Prisons are shut down in the next few months. These units will be closed because prisoners will be transferred to a brand new 960 bed prison in South Auckland which is about to open. The Wiri prison will be run by private company Serco, and of course they need to make a profit. So Corrections is laying off its staff so that a British company can profit at Kiwis expense – a company with a reputation for defrauding the British government, and that prison reformers want banned from bidding for Government contracts. Corrections Association industrial officer Bevan Hanlon said moving prisoners to Wiri and closing down prison wings was, put simply, the privatisation of Corrections jobs. He was right. Labour MP, Kelvin Davis pointed out the Wiri prison cost the taxpayer $900 million and said: Private prison operator Serco will be “laughing all the way to the bank“. He was right too. There’s a lot to be said about whats wrong with the Department’s rehabilitation programmes, but one thing’s for certain – rehabilitation has little to do with buildings old or new. It has to do with turning peoples live around – something that can only done by compassionate skilled staff – not prison officers who are stoned on the job.